A GIGANTIC THANK YOU to our Platinum Level Sponsor, Avita Pharmacy! Always a generous supporter of SLAC! A HUGE thank you to our first official sponsor! 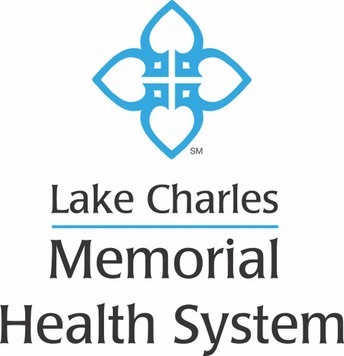 L’Auberge Lake Charles will be providing the lodging accommodations for Ms. Brown and staff. 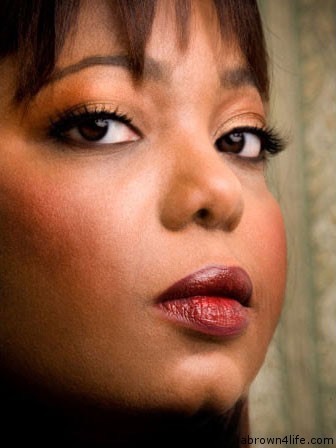 When actress and comedian Cocoa Brown takes the stage, the world stands still. Brown is undeniably one of the most talented comics and performers of this generation. The Newport News, Virginia native, born Farah Brown, assails her craft with such passion and soul-searching veracity, when she claims a stage the ensuing act is nothing short of a force of a nature. 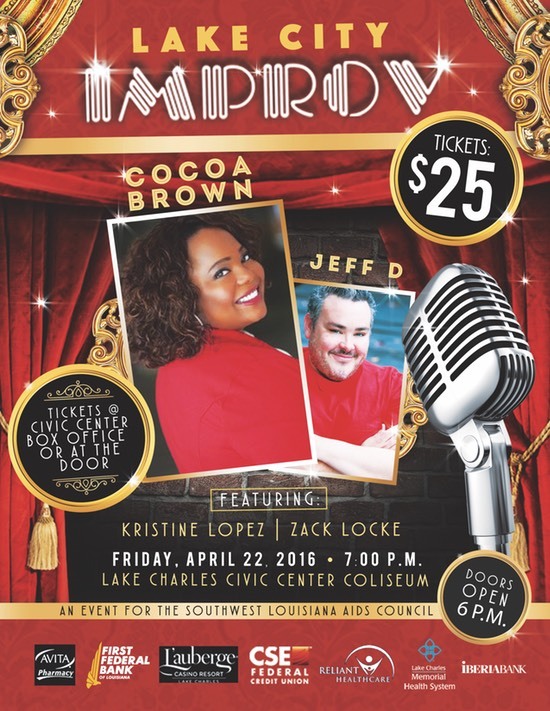 Cocoa Brown audaciously draws from painful reminiscences and hardknocked lessons, bravely weaving humorous tales that uplift, upend, and upgrade everything you thought you knew about comedy. What drives the comic who female fans nationwide have nicknamed the “The Truth”? The sheer will of a woman who survived the worst life had to offer and is still standing. The fiery performer, whose credits include Tyler Perry’s critically acclaimed comedy series “For Better or Worse” on Oprah Winfrey’s OWN network and a national commercial spot for Progressive Insurance Company, has assembled an extensive body of work. A career that began as an advertising associate for Ringling Bros and Barnum & Bailey Circus and a writer for various sketch comedy shows proved confining for the dynamic performer. She honed her writing and creativity to pursue her dream of being a stand-up comic. A decade later Brown had nearly mastered the art of comedy. She harnessed its essence and purpose, performing on top rated comedy shows including BET’s “Comic View” and “One Mic Stand”, and “Showtime at the Apollo”. Today, she exemplifies mind-blowing humor, daring drama and contemporary reality wrapped in a boundlessly energetic package. Whether she is performing in honor of the incomparable Richard Pryor or acting in films such as “Lakeview Terrace” with Samuel L. Jackson, Brown exudes skill and discipline. Those characteristics, along with her chilling story of struggle and redemption, inspired Tyler Perry to create “Single Moms Club”, a feature film that casts the accomplished actress in the leading role. The movie is scheduled to hit theaters in 2014. The comedy veteran and rising star, fueled by Perry’s powerful vote of confidence, is ramping up her ambitions in a relentless mission to become the performer many people doubted but even more admire. With a nomination for a Screen Actors Guild award under her belt, Brown has her sights set on an Oscar, an Emmy and a Pulitzer Prize. She is writing a revealing autobiography and producing her highly anticipated one-woman show, “Confessions of a Suicidal Diva”. The lovable, down-to-earth celebrity and proud new mom keeps tv audiences tuning in every week for an intoxicating dose of Cocoa infused humor. She also captivates audiences worldwide at renowned comedy venues. Her creative writing and meticulously produced sets coupled with the ever-changing hairstyles and gutsy sense of fashion ignites rousing, protracted standing ovations. Yet, amid such explosive success, Brown admits she desires very little. “I want audiences to connect with my story and in the course of that journey find their own. That is my inspiration, my peace. I am in a good place now. I am finally learning how to love myself and I am comfortable in my own skin. Most importantly, I am not afraid to use my voice. That is certainly a good thing. That beautiful, husky, unapologetic and very funny voice will no doubt, change the world. 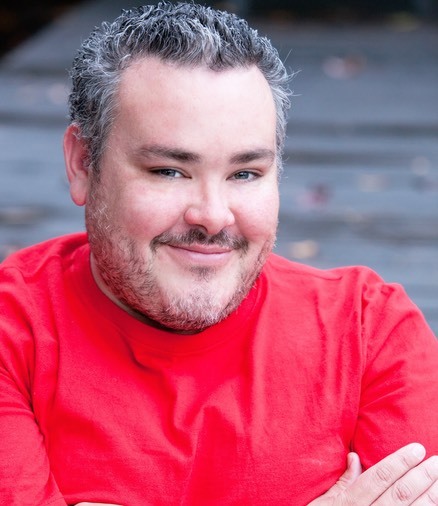 Comedian Jeff D has brought houses down all over the country with his unique Southern-style humor, riotous stories, hilarious characters, and satiric point of view. Whether it’s at major venues on the west coast, honkytonks and clubs in the south, or at an all-you-can-eat buffet in Des Moines, Jeff D connects to audiences and keeps them wanting more! Originally from Lake Charles, Louisiana, Jeff moved to Los Angeles in 2002 and spent years becoming an established fixture on the well-known stages there. In addition to doing regular stand-up at clubs like The Improv and Laugh Factory in Hollywood, Jeff also had a successful run with his one man show, Waiting On a Part, at the Comedy Store on the Sunset Strip. Jeff D now resides in New Orleans where he’s an actor, writer, and has become a recognized face on the city’s famed performing arts scene. He takes his show to stages across the United States and has worked with many well-known headliners including Darrell Hammond of Saturday Night Live fame.